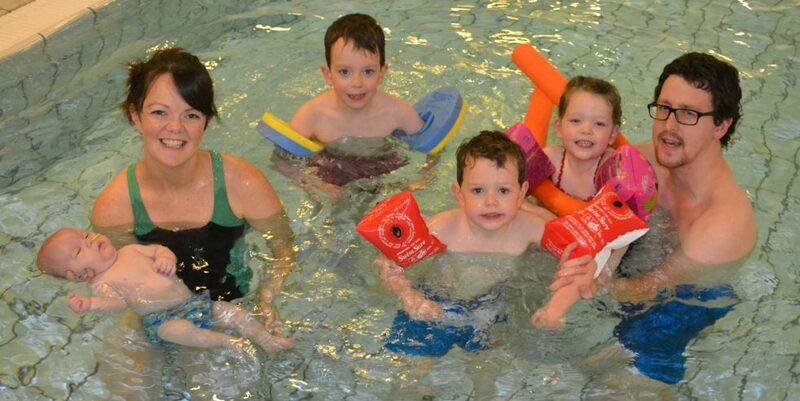 Trying to put a bit of yummy into this mummy #6 – Making Memories in The Chaos. Well, what is this weather doing?! I have no idea what to put on my in the mornings at the minute! Today I am out and about in a short sleeved top and am comfortable! Last week I was cosying up in knee highs and Uggs! Ah well, shouldn’t complain, the cold days will be here soon enough and we all know Winter here can last a loooooooooooong time! These bad boys got let out this week!!!!! AND I bought a kids top from Sainburys for me! Sorry the pic is a little blurred! 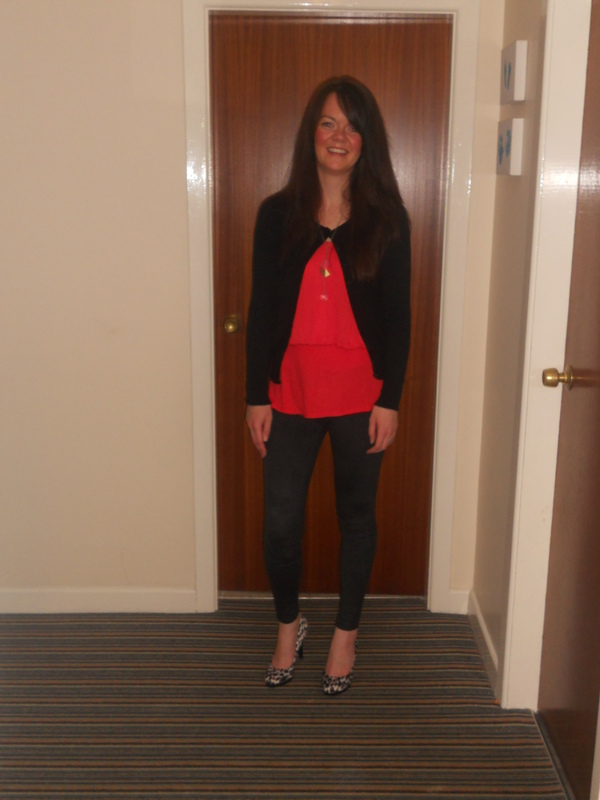 A wee night out with the girls to a fashion show in Rockmount this week – what does one wear to such an event?! Well, this is what I went with. My £1 specials (black trousers – kind of crushed velvet, with dominant crease down front and back?! ), red top, statement necklace – large crystal drop, black cardigan, leopard print heels and my nod to designer labels – large black Guess handbag! So, I thought I was looking not too bad, when the compere in the middle of describing the outfits, says, “leggings are no longer fashionable”!!!! OH NO….cringe! As I desperately try to hide my legs further under the table and think – how am I going to get up and get supper soon?! Ha! I settled myself though by thinking, wellllllll, they aren’t really leggings that I’m wearing, more a TIGHT trouser?! Right?! 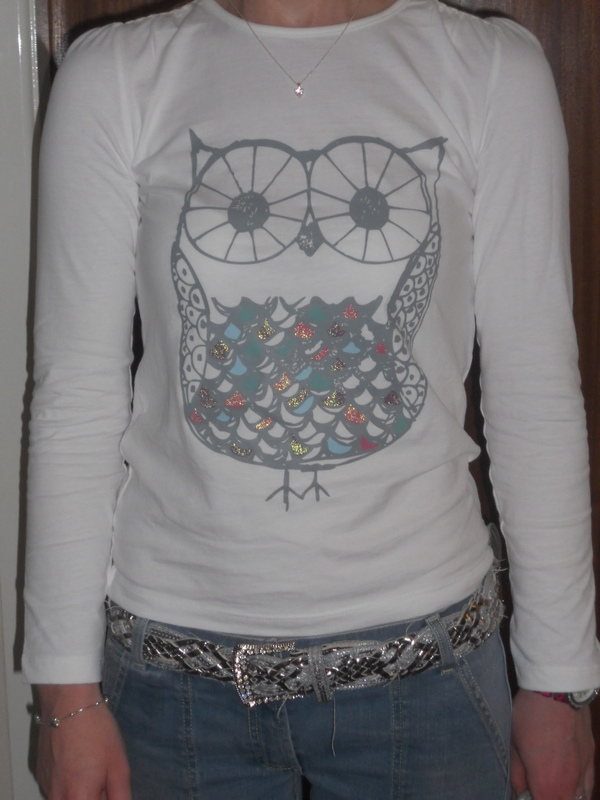 This it a top which I picked up in Sainsbury’s for £4.50 in the kids section! I got the age 12 and it fits well 🙂 I LOVED the owl, as did my darling little daughter, so I couldn’t way no. I decided to pair it up with some silver accessories and some good old faithful jeans – comfy outfit! 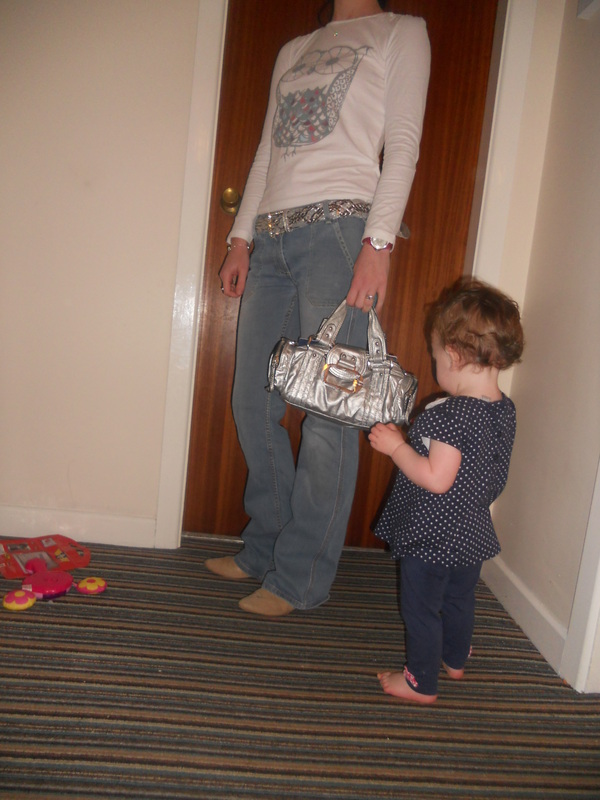 Here’s baby girl eyeing up my handbag (again a little Guess number), that baby girl of mine sure does LOVE a bag! And lastly then my treat for my face! I have been hearing loads recently about BB creams and CC creams and really wanted to try one out for myself and see what all the big fuss is about! So when Boots had 1/3 off their Soap and Glory skincare range it was a win win situation! I LOVE Soap and Glory and I wanted a BB cream – score! Who wouldn’t want all that good stuff on their face?! We’ll see how it goes……….any of you guys use a BB cream that you love? Right, off now to do a wee bit of housework before the kiddies wake. Husbter has a ‘twilight’ sesh at school today so won’t be home until later today 😦 We miss him when he’s not here for dinner……. Previous Post An AWESOME day! Next Post Plans and schedules! 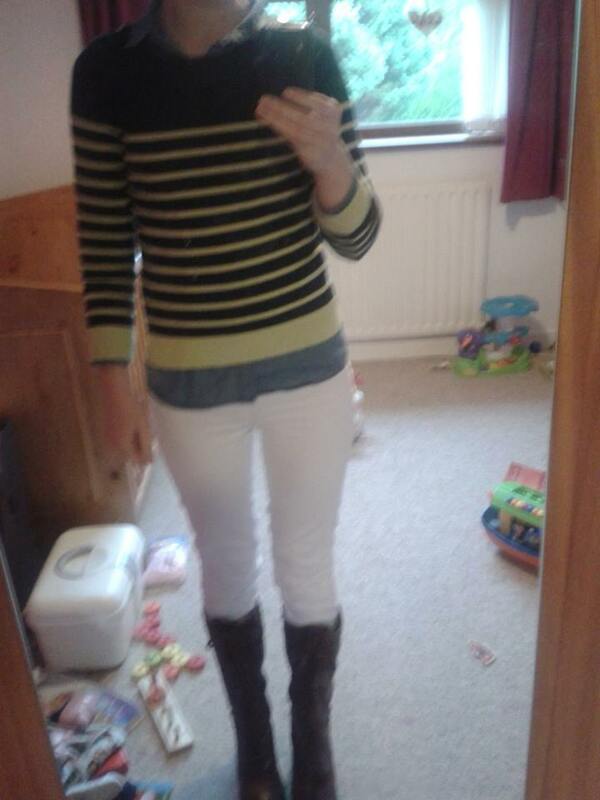 I can’t get over the striped shirt and the boots! Gorgeous! Oh thank you! I LOVED that wee combo too – it’s now a favourite! Looove the black skinny jean, brown boots combo. Very nice!